We are saddened by the loss of E.G. Hamilton, FAIA, whose iconic work shaped our city. 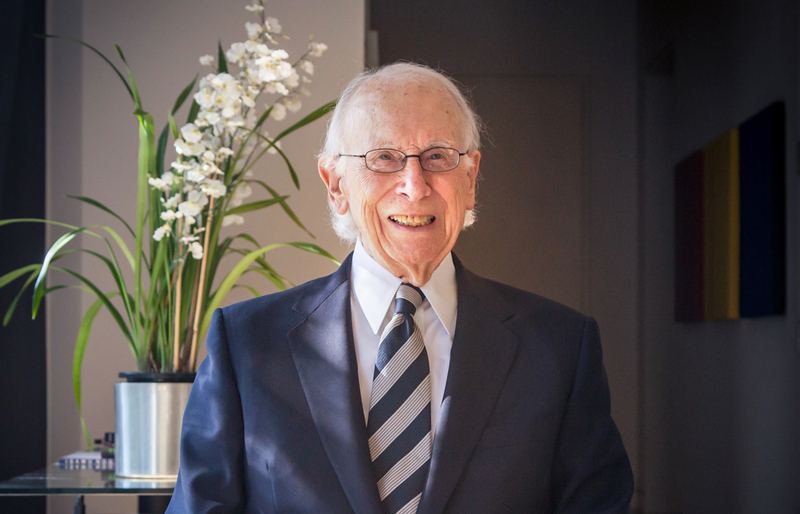 He leaves behind a prestigious legacy as the co-founder of Harrell + Hamilton (now OMNIPLAN), and as the designer of many projects, including NorthPark Center and Republic Tower, and as part of the initial group of planners for the Dallas Arts District. He served as president of AIA Dallas in 1964, was appointed by Gov. John Connally to serve as president of the Texas Board of Architectural Examiners in 1967, was named a Fellow in the American Institute of Architects in 1968, and served as president of the National Council of Architectural Registration Boards (NCARB) in 1974. In 2000, E.G. received TSA’s Pitts Award for Lifetime Achievement, and AIA Dallas' Lifetime Achievement Award in 2013. In addition to these achievements, three of E.G.’s designs have been awarded the AIA Dallas 25-Year Award: the Hexter residence, Republic Bank, and NorthPark Center. He was greatly beloved and will be deeply missed. In remembrance, we share this tribute from our Columns archives: Omniplan principal Tip Housewright, FAIA reflects on his experiences with E.G. on the occasion of E.G. 's 2013 AIA Dallas Lifetime Achievement Award. The Dallas Morning News' Mark Lamster remembers E.G. Hamilton as the architect who made Dallas. The late Bill Booziotis, FAIA paid tribute to E.G. Hamilton in 2014.